This 17 Series 93R17 BSEV Rifle from Savage delivers powerful punch to take out varmints, pests and other small game. The unique coloring and ultra-modern shape of the stock makes this Rifle stand out from the rest, and makes it a show-stopping addition to your collection. The AccuTriggerTM is unique only to Savage rifles... many have tried to imitate the design, but Savage has it perfected. AccuTrigger offers a crisp, light pull that still protects against accidental discharge if dropped. Since its beginnings in 1894, Savage has been making top-quality, innovative firearms, and you can see this commitment to quality each time you shoulder your Rifle. Get yourself a Savage Rifle and experience the difference. 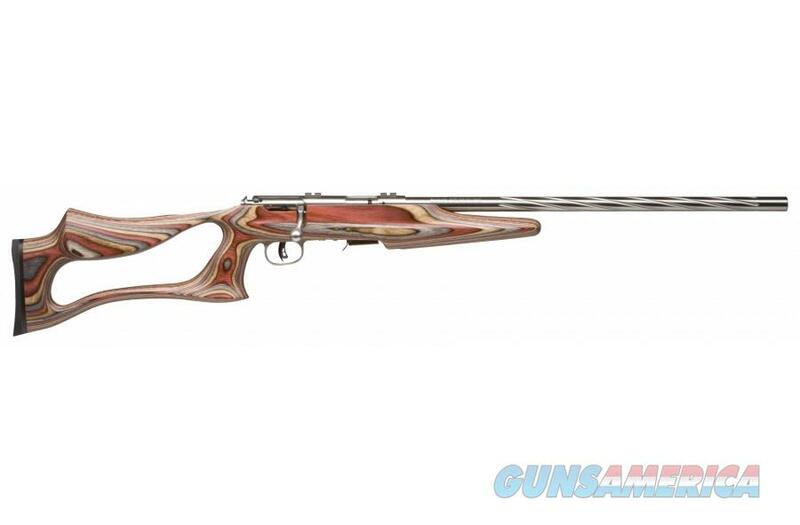 The BSEV model is a great target rifle that adds a touch of style to any gun collection.